From Barcelona, individuals, collectives and groups gathered for the European Meeting for Solidarity with the Zapatista Communities, the Sexta, and those who pursue a struggle from below and to the left. 20-22 November 2015. First of all, greetings in solidarity for all of you. From Barcelona, we have talked and listened and decided not to heed that forgetting which implies the burial, chaining, and humiliation of others. We’ve listened to your reflections, thoughts, anger, and determination in a struggle to bring down the prison walls and to transcend this society that keeps all of us prisoner, albeit at different levels and intensities, through surveillance, control, and oppression. In these years in which we have walked with you, we have learned that the struggle against incarceration is alongside you, and that you are also with us in the everyday march. Thanks to your words and reflections, prejudices slowly disappear, and give way to a reflection that sees that any type of imprisonment is a form of control and subjection that tries to disappear or domesticate rebellion through fear and conditioning. You have also helped us to see that even in the worst circumstances, in confined spaces, in cells and dungeons, that an overflowing rage of resistance is present, which gives us strength in our own struggles. We take as a starting point that we find ourselves in a reality in which imprisonment is manifested in a numberless list of prisons which serve a political project which is capitalist, liberal, productivist, patriarchal, sexist and racist, one which we cannot accept as a way of living in our lives. The world for which we are fighting doesn’t encompass the reform of these centres of humiliation, simply because we don’t want them, and don’t need them. It’s from the hands of comrades who are prisoners that we have learned that, independently of how they define it, whether political or social prisoners, prison is a rubbish tip onto which is thrown dissidence and disobedience, in other words, all of those who try to upset a system based on authoritarianism and the exploitation of millions of human beings across the planet. have a struggle that does include you, and that we work for a world in which everyone is free. We remember today as well the anniversary of the death in Leavenworth Prison of Ricardo Flores Magon, whose comrades we wish to remember with our dignified rage and happy rebelliousness. 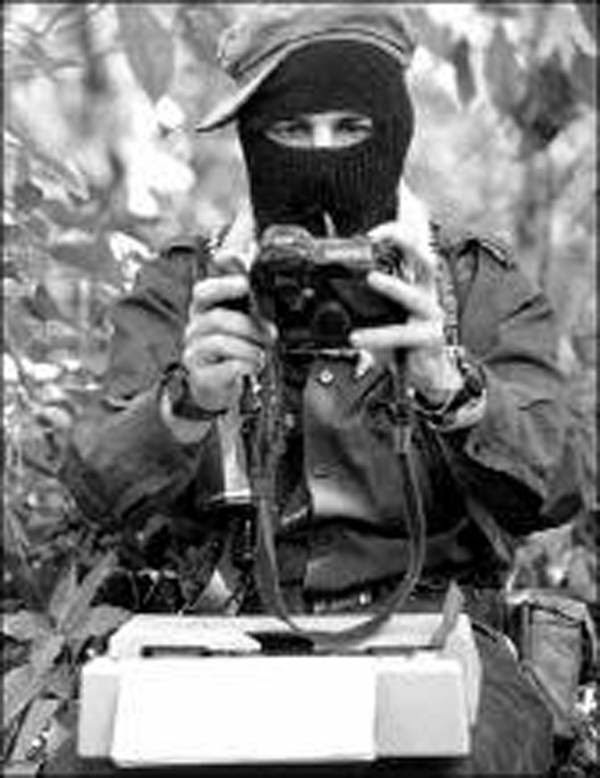 We send greetings to our comrades: Álvaro Sebastián Ramírez, Alejandro Díaz Sántiz, Luís Fernando Sotelo, Fernando Bárcenas Castillo, Miguel Angel Peralta Betanzos, Abraham Cortez, Roberto Paciencia Cruz, Esteban Gómez Jiménez, Santiago Moreno Pérez, Emiliano Jiménez Gómez, Dominga González Martínez, Lorenzo Sánchez Berriozábal, Marco Antonio Pérez González, Pedro Sánchez Berriozábal, Rómulo Arias Mireles, Teófilo Pérez González, Máximo Mojica Delgado, Maria de los Angeles Hernández Flores, Santiago Lázaro Lezma, and Cemei Verdía. To Leonard Peltier, Mumia Abu-Jamal, Oso Blanco, Gabriel Pombo da Silva. And to all of those prisoners who struggle from below and to the left, against the penitentiary system, against its laws, and against the world that sustains it. We also wish to tell you that in our different ways, we have responded to the call by the Network against Repression and for Solidarity to carry out actions and demonstrations for the freedom of our comrades from the 3 to 16 December, under the slogan that we have agreed today: “until all of us are free”. We say goodbye now to you, but not without saying that we are with you, we won’t give up and we won’t tire.